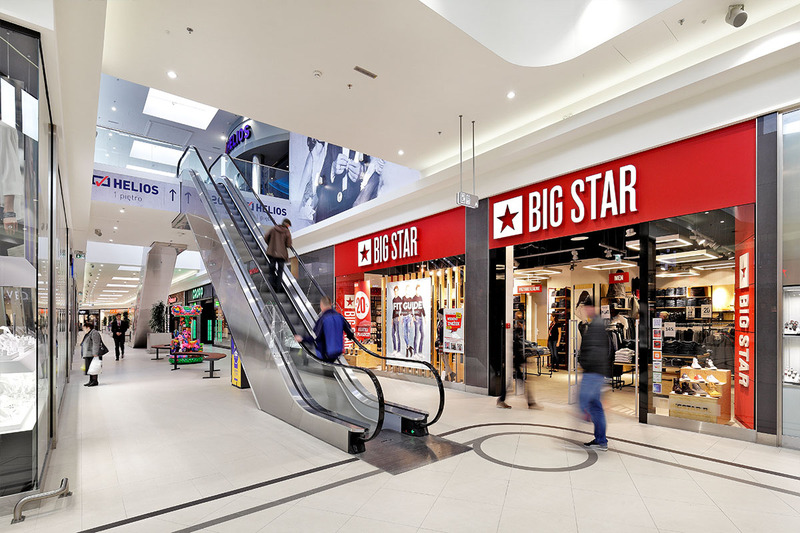 The first shopping center in Tomaszów Mazowiecki is the only project in the city located on the investment plot included in the local spatial development plan for the purpose of a large retail projects. 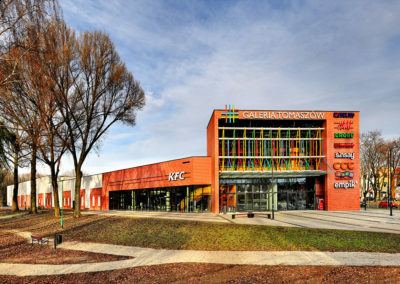 Galeria Tomaszów, developed at the former textile factory, reproduces fragments of the existing historical building, reflected in the factory-style exterior. 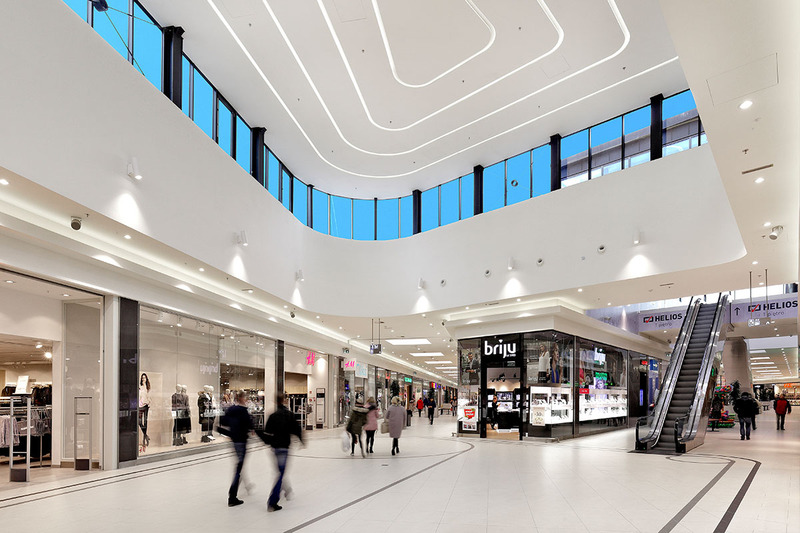 A single-storey construction with clear internal communication and comprehensive commercial and gastronomic offer covers over 210,000 inhabitants of the city and the region within its catchment zone. 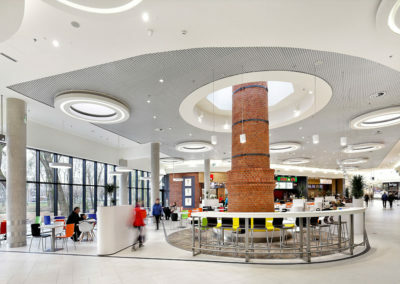 Relating with its style to the former factory buildings, the architectural design provides a unique atmosphere making Galeria Tomaszów not only a project with an impressive façade and spacious interiors, but also a new socializing facility. Through reference to the history of the textile industry, which found its context in the gallery’s logotype, as well as the inspiration of the location on the historical and cultural borderland of the three regions, the center emphasizes its regional roots. 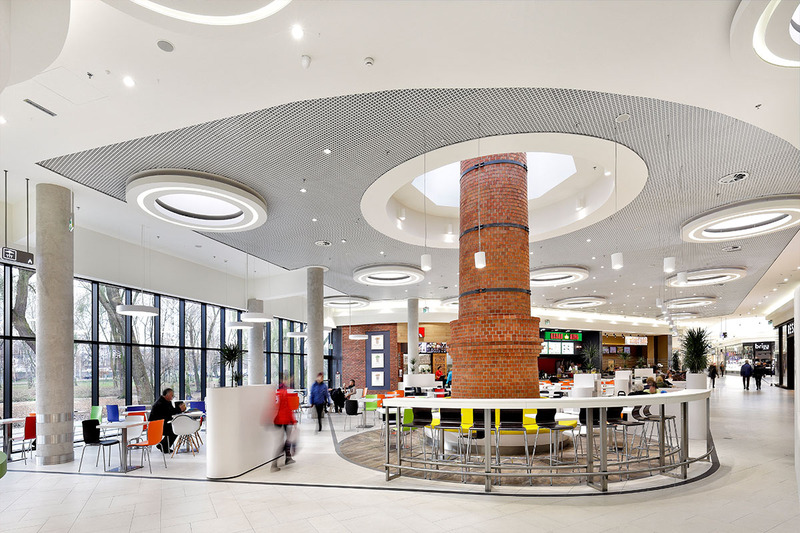 Located on the borderland of three cultural and historical regions, in the Łódź Voivodeship, with 65,000 inhabitants, Tomaszów Mazowiecki is an important industrial and service center with a special focus around the ceramics, machinery, textile, clothing, metal and leather industries. 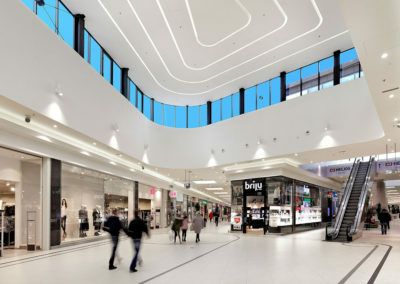 It also constitutes an important communication center with direct access to the international E-67 road connecting Warsaw with Prague. 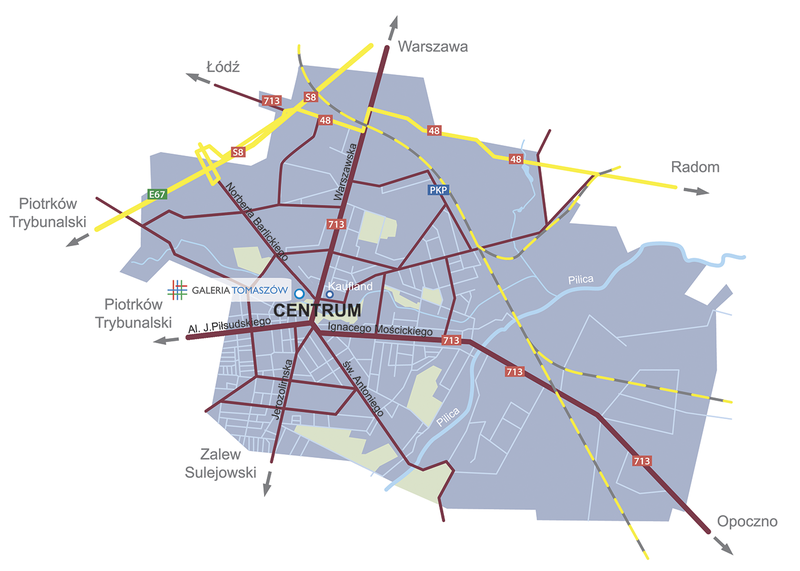 Tomaszów Mazowiecki is also connected with national and provincial roads providing convenient communication with Radom and Łódź, as well as with railway lines. 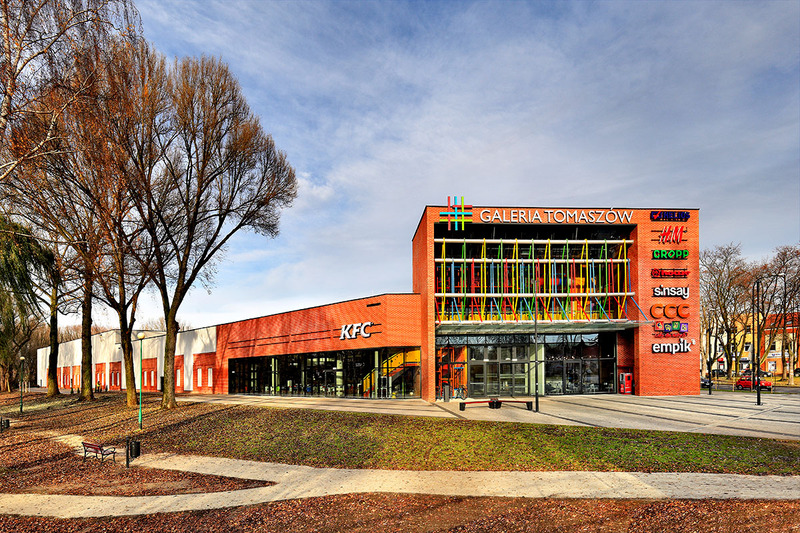 Galeria Tomaszów is situated in the center of Tomaszów Mazowiecki, in the most intensive traffic junction between the main arteries – Barlickiego and Warszawska streets – at the Wolbórka River. 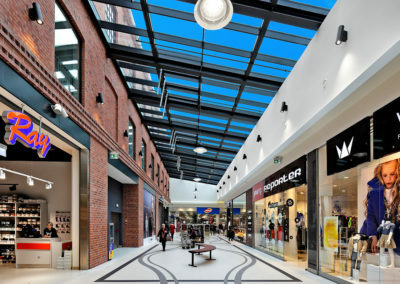 Such location ensures a perfect integration with the urban and regional infrastructure through the national road connecting Warsaw, Wrocław and Katowice. 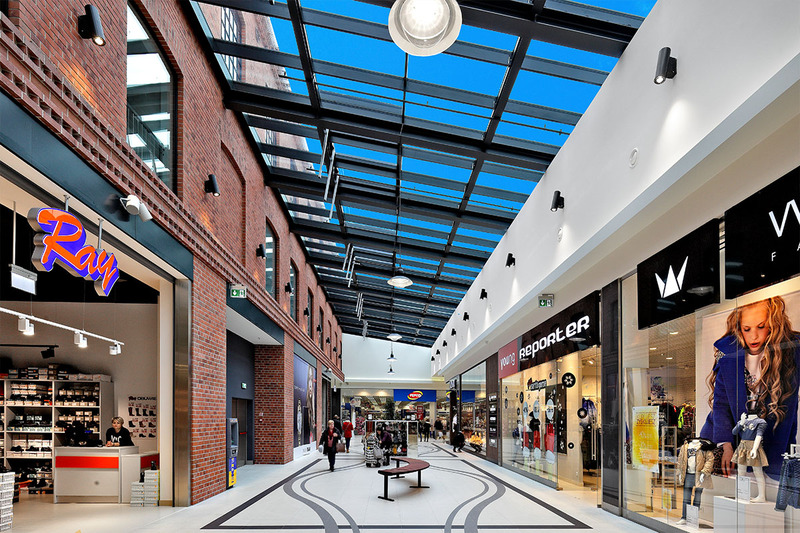 The most popular place of the city – Kościuszki Square and the new parking zone of the city center are just 5 minutes away. 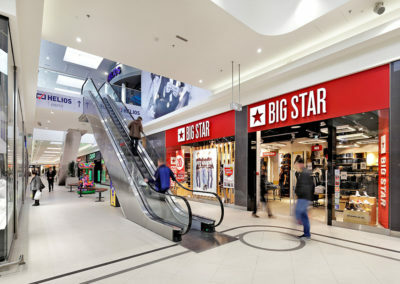 The streets around the project provide convenient and quick access to the main entrance, parking lots and the tenants’ supply zone.